There are many different types of teas on the market but I find green tea and black tea to be the most popular. I am often asked: Why are green and black teas different? Both green and black teas are made from the leaves of the same plant but they are processed differently. Drying the leaves of Camellia sinensis gives us green tea while fermenting and heating the leaves gives us black tea. This is why green tea tends to be milder while black tea develops a stronger flavor. What about nutritional differences between green and black teas? 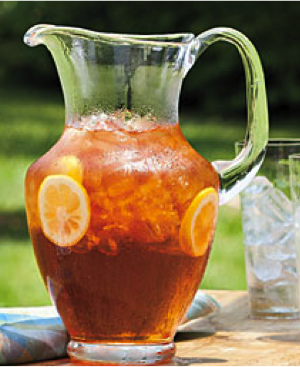 Unsweetened tea has virtually no calories, fat, protein, carbohydrate or many of the vitamins and minerals. What it does have are antioxidants and caffeine. 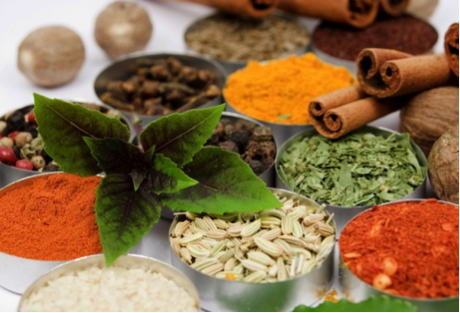 Antioxidants: Polyphenols and flavonoids are antioxidants in teas prized for protecting our cells from damage. Green and black teas both contain antioxidants but green tea has a higher amount because the fermentation and heating process in black teas destroys antioxidants. Green tea is high in a particular antioxidant called epigallocatechin gallate (ECGC), which can help with weight loss and cancer prevention. Caffeine: I don’t need to explain this one do I? 😉 Caffeine is commonly found in coffee and colas giving us that “perky” or “awake” feeling. Although herbal teas won’t contain caffeine both green and black tea will. Keep in mind that black tea can have higher caffeine content than green tea though never as high as coffee. Special Thanks to Trinh Le for her assistance with this post! It is finally the merry month of May and I wanted to wish y’all…a Happy Older American month! Bet you didn’t see that one coming did you? Every year, May is the time we celebrate older Americans and their contributions as well as raise awareness for issues that older folks face. If you ask me we should be doing that every day! 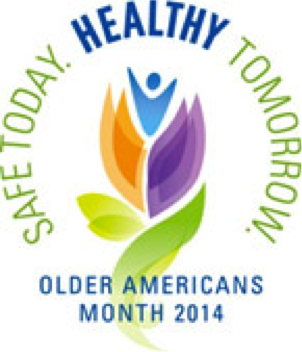 This year’s theme for Older American month is “Safe today. Healthy tomorrow.” Basically the choices we make to stay safe (like avoid injury and preventing disease) will help us live healthier at an older age. With this theme I’d like to bring your attention to the 90+ Study conducted by researchers from the University of California at Irvine (UCI).1 It is one of the few studies out there that focuses on the “oldest old,” what it takes to get there and what it takes to stay there. It also looks at dementia in this age group. Celebrating your 90th birthday is a commendable feat, which is why there aren’t many people 90+ out there to study. But, it is important to understand this age group because we have a longer life expectancy and there will be more older adults who will reach the 90 year old mark and beyond. In 2010 the US Census Bureaus estimated there was 1.9 million Americans 90-and-older.2 This age group tripled in the last 30 years! 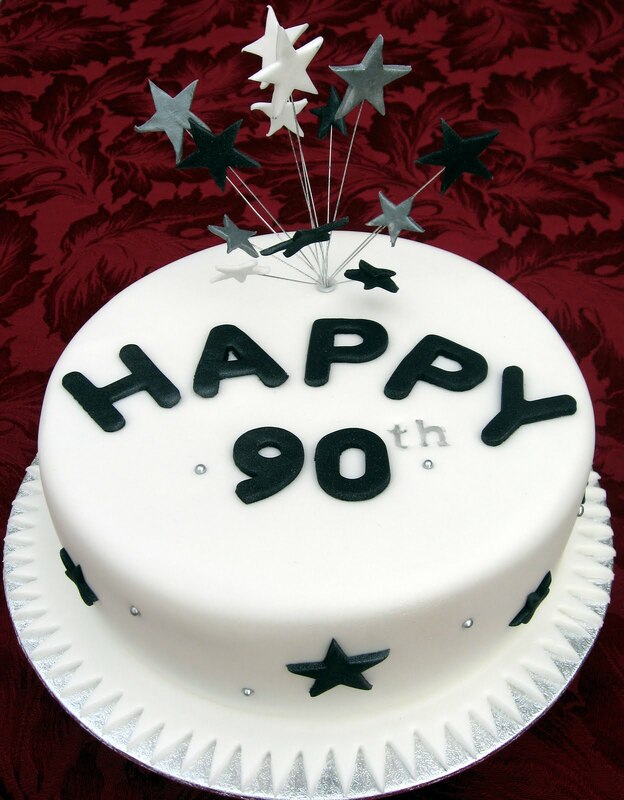 Sadly, most people in their 90s had 1 or more disability and required some kind of assistance.2 A study like the 90+ Study could really help us understand how we can reach 90 but stay healthy. People who drank moderate amounts of alcohol or coffee lived longer than those who did not. People who were overweight in their 70s lived longer than those who were normal weight or underweight. More than 40% of people 90 and older suffer from dementia, while almost 80% are disabled. Both conditions are more common in women than men. About half of those over 90 with dementia do not have sufficient Alzheimer’s-related plaque growth in their brains to explain their cognitive loss. Individuals 90 and older who carry the APOE2 gene are less likely to have Alzheimer’s-like dementia but much more likely to have Alzheimer’s-related plaque growth in their brains. I don’t know where you’re from but in North Carolina, my home state, we are ranked #9 for people over the age of 60.4 This number continues to grow every day so I want to do my part in raising awareness for older adults. In the mean time I will continue to update y’all on trailblazing studies like this one. Comment below if any of the 90+ Study findings are intriguing to you. Happy reading and a toast to all Older Americans out there no matter what age you’re at! Special Thanks to Trinh Le for her assistance with this post. How what you eat can help reduce the cavities in your teeth. Everyone needs 3 D’s for their health: Doctor, Dentist and Dietitian! I’m sure everyone understands the importance of doctors. If you’re reading this blog chances are you also understand the importance of dietitians. But how many of you give thought to the impact it would make on your health if you saw your dentist more regularly? What if you were able to get better fitting dentures? What if you took care of the toothache that bothered you? Chances are you’d be eating and enjoying food a whole lot more! Consider that the National Institute of Dental and Craniofacial Research has found that 5% of older adults have no teeth, 92% have had cavities in their teeth and 23% have untreated decay! I bring this to your attention because we often don’t think about the implications of having poor dental health but it is linked to our daily well-being. What are cavities and how do I get them? 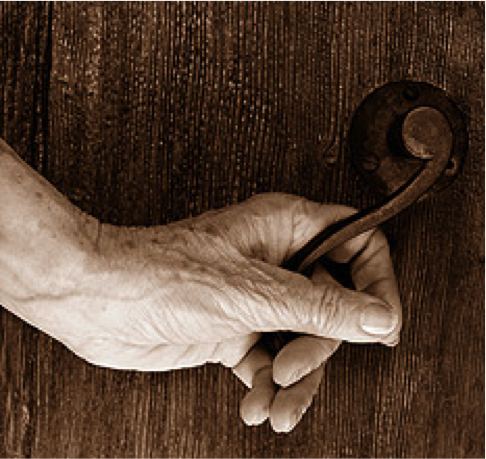 What should I know as an older adult? Cavities in the teeth result when the strong enamel on your teeth breaks down. A cavity forms when the bacteria in your mouth ferment sugars from the foods you eat and creates acids. Our saliva helps to protect teeth from these acids but over time we can still develop cavities especially if we don’t have good oral hygiene. Also, older adults are more likely to get cavities because let’s face it…our teeth have been through a lot more slices of birthday cakes than most! Aside from wear and tear older folks are more likely to develop cavities because of other dental conditions like dry mouth, gum disease and gum damage from poorly fitting dentures. Can what I eat help prevent cavities? What would this look like? Absolutely! 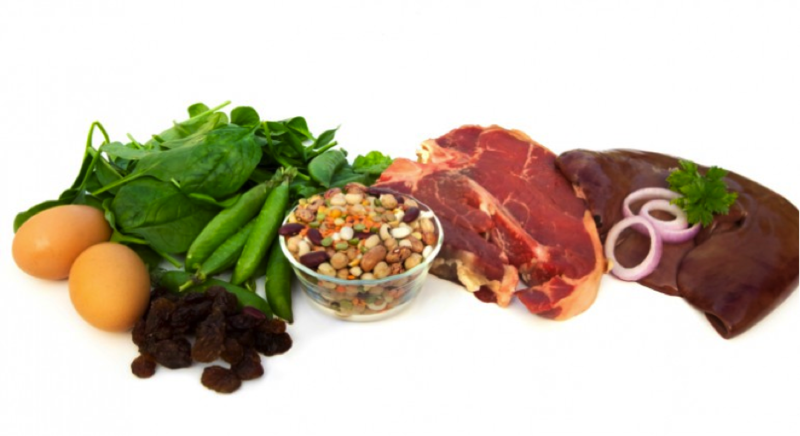 There are 2 groups of foods you should consider—cariogenic foods and cariostatic foods. Cariogenic foods lead to new cavities and even worsen existing cavities. They contain the sugars that mouth bacteria like to feast on. Cariostatic stops new cavities from forming because they buffer against the acids made by bacteria. 1) Pair cariogenic foods and cariostatic foods during meals and snacks so that they negate each other. 2) Rinse mouth with water after each meal or chew xylitol gum. 3) Practice good oral hygiene. What does good oral hygiene look like? 1) Brush your teeth 2X per day with fluoride toothpaste once when you wake up and once when you go to bed. 2) Floss at least 1X per day. 3) Visit your dentist for regular cleaning. 5 Exercises You Can Do Without Getting Out of Bed! Improve your posture and flexibility before your morning coffee. Rise and shine! There’s nothing like a morning stretch to rev up your body. But, if you haven’t been exercising for a while you’ll understand how hard it is to start. This is why I want to start you out with some super simple exercises that can be completed without even getting up. These exercises are meant to supplement your current daily exercise routine, which for some of you could be a little (like tending the garden or evening strolls) or a lot! A good exercise program is like a healthy diet: you need variety. You can spice up your regular routine by adding these 5 simple exercises. Once you’ve got these 5 exercises down remember to check back for more! The following 5 exercises will help with your flexibility and your posture. They are meant to be completed lying down or sitting up in your bed or on the floor. 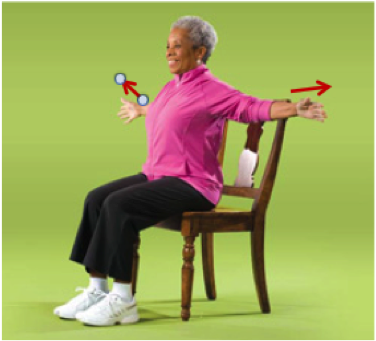 The last 2 exercises (chest stretch and back twist) can be done on a chair. Place your hands at your side. Bend your knees and place your feet below your knees. Let your knees be hip width apart. Pull in your belly button. Push your hips up towards the ceiling. Hold for 5 seconds. Keep breathing. Lower back down to the bed slowly. How Often: Repeat 10 times. Rest; repeat 10 more times. Lie on your bed and reach your arms behind you as far as you can. Point your toes towards the end of the bed. How Often: Repeat 3 times. 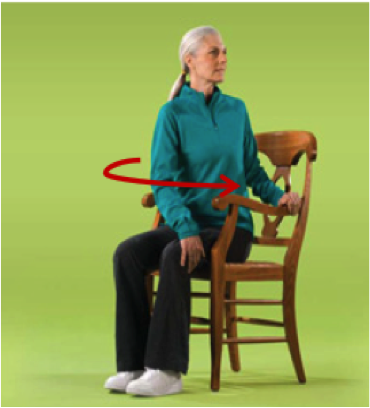 Why: This will help with your posture and should feel really good! Lie on your bed; knees bent and your feet flat on your bed, lined up under your knees. Slowly drop both knees over to the right. Pause here for 20 seconds, breathing and relaxing. How Often: Repeat on other side. Why: This will relax your low back and hips and help you move better when walking and dancing! Take a deep breath and reach your arms out to the side as wide as you can while squeezing your shoulder blades together. This stretch is looks like you’re going to give someone a big hug! Keep breathing as you count to 20, and then relax. How Often: 3 times per day. Why: This will make it easier to sit up nice and straight. Keep your beautiful posture! Sit up nice and straight in your chair with your feet flat on the floor. Slowly twist to the left from the waist without moving your hips. Then turn your head to the left too. You can hold on to the back of the chair to twist a little bit further to the left. Count to 20 then relax. How Often: Repeat 3 times on each side. Why:This will create more movement in your back and help with posture. Disclaimer: It is best to consult your physician before starting a new exercise routine. **Thanks to Trinh Le for her assistance in developing this post. Get a Grip…on your health! 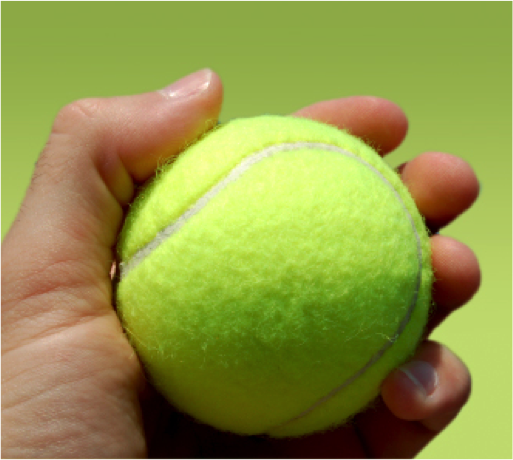 What is “grip strength” and why should you care? 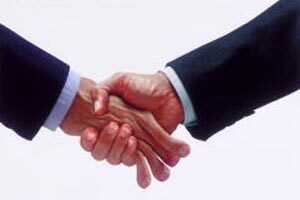 Remember when you were told that the strength of your handshake really mattered for setting up good first impressions? Well, I am here to tell you that the strength of your handgrip matters for setting up good first impressions about your health! In my world the word “grip strength” has a different mean. It refers to the maximum strength derived when you contract the muscles in your hands. It is a popular test that is used to understand your functional as well as your nutritional status. A review published in 2011 found that patients who scored poorly on grip strength had more complications after surgery, longer hospital stays and higher rates of hospitalizations compared to those who had adequate grip strength1. Additionally, grip strength is useful to help us identify persons at risk for mobility limitation2. Your grip strength test tells us a lot about whether or not you are getting good nutrition or have good mobility. But why should this matter to you? As we age, one of the most important things we want to preserve is our ability to perform “activities of daily living (ADL).” ADL is a fancy way of referring to the basic things we need to do in order to live such as eating, bathing, dressing, toileting, and so forth1. For us to be able to the ADL’s require that we have good strength and dexterity especially with our hands. Having good grip strength allows you to do the simple tasks in life such as opening a jar of spaghetti sauce or turning the doorknob. That was easy wasn’t it? It sort of reminds me of squeezing a foam stress ball to relieve tension whenever I feel tense. 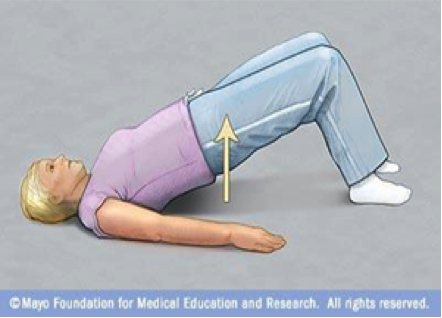 This same simple exercise can be done while watching TV, waiting for an appointment or sitting in church. There’s never a better time to improve your hands! Next week I will be featuring exercises for equally important body parts. Check back for more and happy reading! What’s anemia got to do with dementia? A new study finds evidence that having anemia increases your risk for dementia. As a part of healthy aging, we ought to care for our bodies as much as we care for our brain. There is a BIG connection between the two that we’re learning more about everyday. Just this week I read some new research, which suggests that having anemia today might increase your risk for developing dementia in the future. The study is called the Health, Aging and Body Composition study and it followed 2,552 men and women in their 70s for 11 years. Over this time, researchers found that the people who had anemia were more than 40% likely to have dementia over that 11-years compared to people who did not have anemia1. But how do we know that anemia is directly causing the dementia? After all, dementia has many causes and risk factors like genetics, obesity, drug abuse, etc. The truth is we don’t know for certain that anemia directly causes dementia. In the study, researchers did consider these other risk factors but still found anemia to be an “independent risk factor.” This means that even if anemia is your only risk factor for dementia you are more likely to get dementia than if you did not have anemia. Anemia in older adults is pretty common and increases with age: someone who is 65-74 years old has an 8% of getting anemia but this quickly rises to 20% when they hit 852. Researchers acknowledge that it is not known if treating anemia will prevent dementia. But if you ask me, it certainly wouldn’t hurt! It is safe to say that both you and I would rather not live with anemia or dementia. Just because we’re aging does not mean we should accept a lower quality of life. 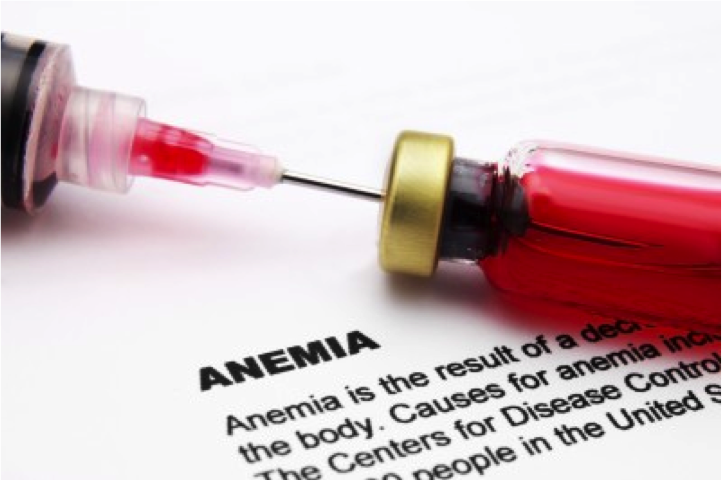 While some types of anemia cannot be prevented others can be. Happy national registered dietitian’s day everyone and for that matter, happy nutrition month! Every March RD’s across the country celebrate our love for food (something that I do on a daily basis) and our commitment to our profession. Before I delve into the food part, let me put in a plug for the profession. I get a lot of people asking me ‘So what is the difference between a “nutritionist” and a “registered dietitian (RD)?’ The simple answer to that is a “nutritionist” is not guaranteed to have completed any training in nutrition. On the other hand, an RD (or RDN) is an expert in nutrition who has completed the necessary education to practice. He/she is trained to give you science backed answers to your questions about food. Sadly, while our love for food may be as simple as an ice cream sundae on a summer afternoon, our knowledge of how food works in the body is constantly changing. It gets even more confusing if you also have a condition (like diabetes, cancer, heart disease and so forth) because what you eat and how you eat it becomes crucial to your well-being. RDs are here to help us navigate through this confusion! 1. You have diabetes, heart disease, high blood pressure, kidney disease, cancer or other chronic conditions. An RD can help you come up with an individualized eating plan that safely helps you change your diet without comprising taste or nutrition. 2. You have digestive problems. An RD will work with your physician to help fine-tune your diet so you are not aggravating your condition with fried foods, too much caffeine or carbonation. 3. You’re concerned that aging has affected your ability to eat. A RD can help with food or drug interaction, proper hydration, special diets for hypertension and changing taste buds as you age. 4. You want to lose/gain weight. An RD can suggest a healthy weight gain or weight loss plan that includes proper nutrition and regular physical activity to help you gain or lose weight safely. 5. You want to eat smarter. An RD can help you sort through misinformation; learn how to read labels at the supermarket; discover that healthy cooking is inexpensive, learn how to eat out without ruining your eating plan and how to resist workplace temptations. Now, let’s get back to the simple joys of eating! 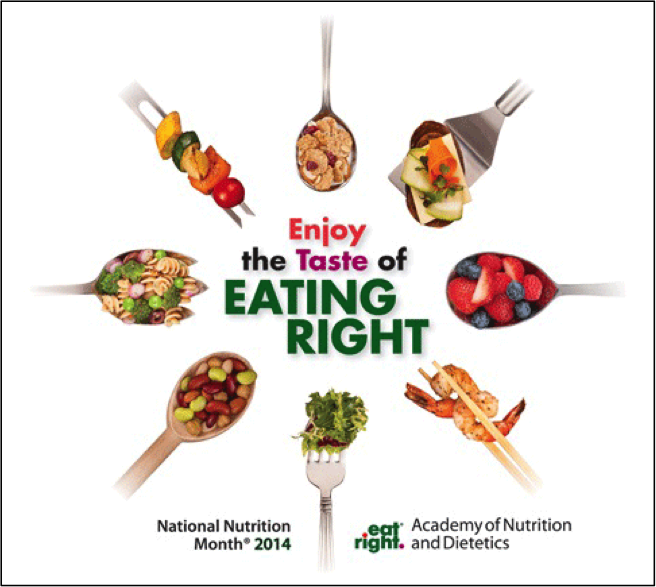 This month, the Academy of Nutrition and Dietetic (the national organization that oversees all RDs) has a simple slogan: Enjoy the taste of eating right. I want you to ponder that because “eating right” means something different for everyone. For example, “eating right” for someone who has diabetes and wants to lose weight is different from someone who is malnourished. Regardless of what “eating right” means for your goals, I want all of us to focus on how we can also make food taste its very best. Here’s to healthy and TASTY eating! 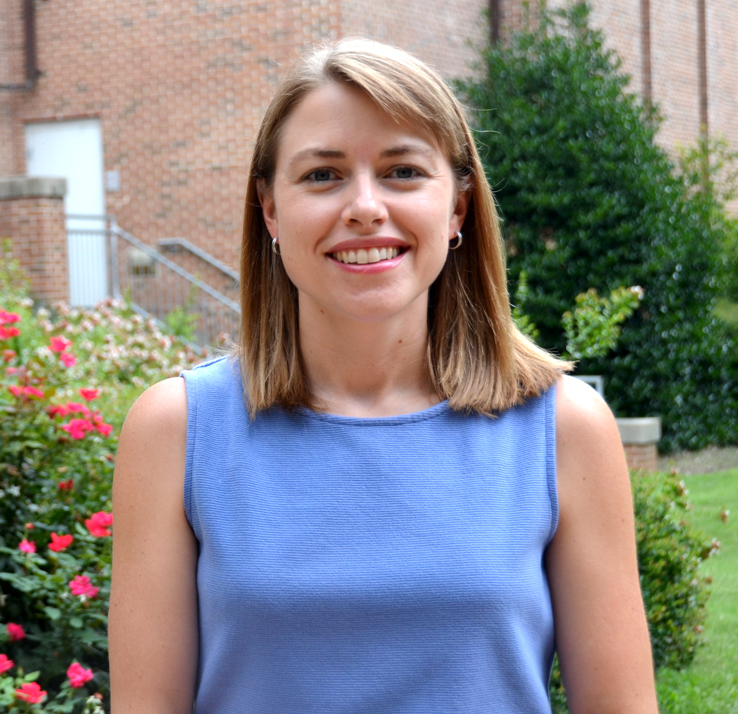 Special thanks to Trinh Le for her work on this blog post. spectacular job this summer during their clinical internships!! Way to go Class of 2013!! I’ve also done a lot of talking and researching about dysphagia and how to best prepare easy to chew and swallow foods. As we learn more about this topic I realize that many foodservice operations and caregivers don’t have access to some really great resources. If you are trying to tackle pureed foods or thickened liquids for your loved one there are two books that you must read. 1. 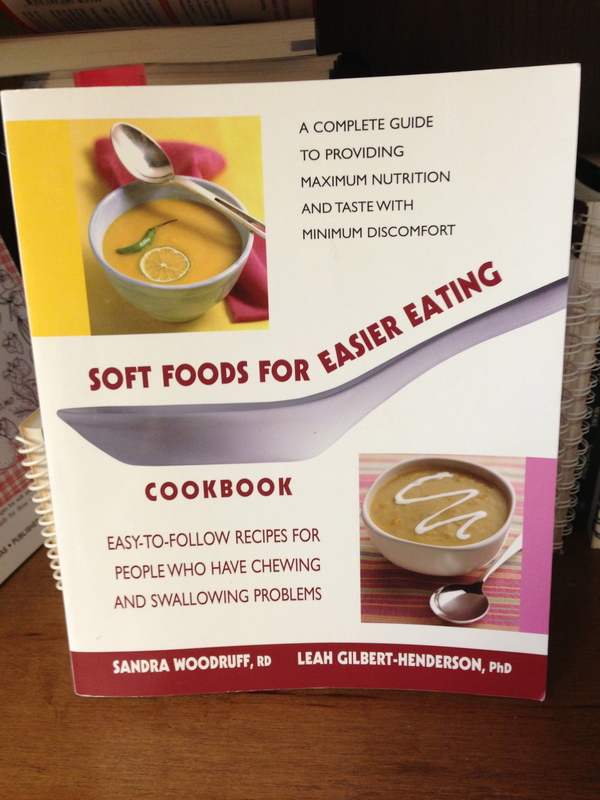 Soft Foods for Easier Eating by Sandra Woodruff, RD and Leah Gilbert-Henderson, PhD. You will find techniques in meal preparation and gain access to some of the most flavorful and delicious recipes. The authors have done an excellent job tackiling some hard to puree foods like pasta, beef and fish. 2. 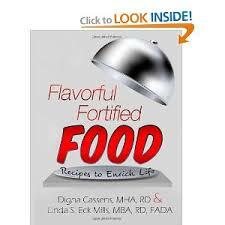 Flavorful Fortified Food by Digna Cassens MHA, RD and Linda S. Eck Mills MBA, RD, FADA. If you have been looking for quick and easy ways to add LOTS of calories and protein this book with be your answer. Digna and Linda have given you small portions that pack in the calories, protein and vitamins and minerals. If the idea of an easy to prepare 8oz/1cup milkshake made with real food that has 550kcals and 13 grams of protein sounds appealing…you will love this book!! 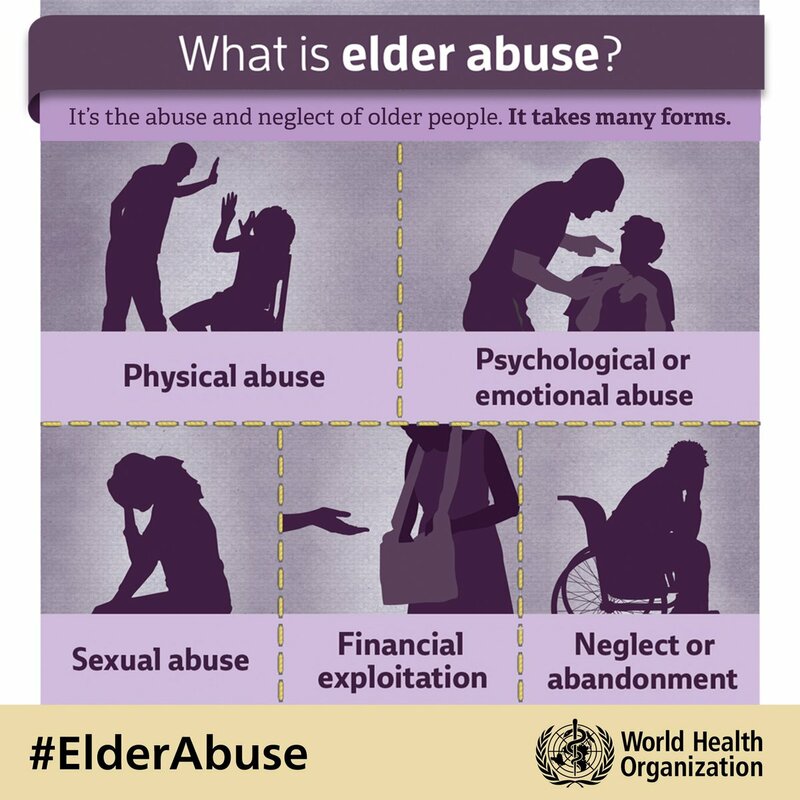 It’s May and that means it’s Older Americans Month!! Unleash the Power of Age (and nutrition)!! It is May!! When I think of May I think of the May pole (did anyone else have a May pole when they were kids?) AND Older American’s Month (OAM). Well, to be honest, I also think about North Carolina strawberries! Yummy! This year the theme for OAM is (drum roll, please), Unleash the Power of Age! What are you doing to unleash your power? When I think about the theme the idea of super-heros immediately comes to my mind. Can you tell I’m a parent of a 7 year old? Ha! All joking aside, very soon many states we will have more seniors than they do school aged children. Those seniors will be (and are) critical to the success of every community! My hope is that we will continue to see older adults teach younger adults about canning, healthy cooking, freezing, gardening and nutrition. The younger generation will need older adults to unleash the power of food and nutrition knowledge to keep them healthy. I also hope that we can work together to take the idea of “farm to school” and apply it to be “farm to nursing home.” Older adults in nursing homes should have access to better food. Food that is local and food that is healthy. It will take all of us to make that a reality! So, get ready for May and think about how you can unleash your super powers!! GI Virus? What to eat now? I’ve been fortunate enough to be in my daughter’s school a lot lately teaching nutrition. Our lessons have focused on healthy eating, know your food groups, fluid consumption, sugar, eating local and how to try new foods (just to name a few topics). While I’ve been at her school, I’ve noticed lots of kids are going home with a stomach bug. 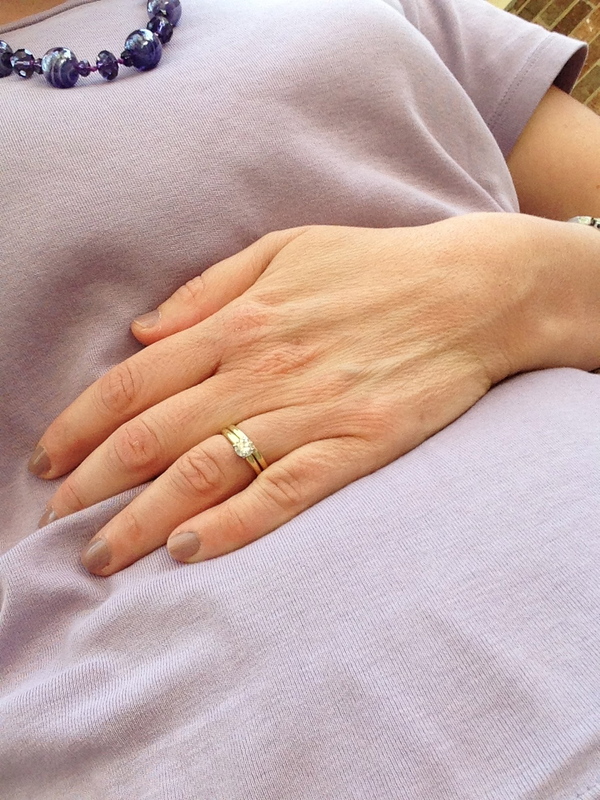 I hate stomach bugs (both as a mom and as patient)!! 1. Once the vomiting has stopped, try sucking on ice chips (if over 2-3 yrs old). 2. Then if tolerated, try 1 teaspoon of a clear liquid (water, apple juice, tea (cold or warm), lemonade, ginger ale, seltzer water or sports drink) every 10 minutes. (Yep, you read right, every 10 minutes!!). 3. If tolerated, increase to 1 Tablespoon every 20 minutes. Keep doubling the amount every hour. (If you are experiencing diarrhea, you may want to try a beverage with some electrolytes added). 4. Once you’ve been throw-up free for 8 hours, try adding some solid food in small amounts. I’d recommend foods low in fat and low in insoluble fiber. Eliminating spicy foods is also a good idea. Some of the best foods are dry crackers, pretzels, rice, baked potato, dry toast, chicken broth, baked chicken, hard boiled eggs, yogurt, frozen pops (juice type, not the kinds with lots of fruit). 5. Continue alternating with liquids and solids until you are feeling better.